Originating in the South during the antebellum days, hymns and spirituals are the native folk songs of our own America. This collection features 13 songs, some with two arrangements � one easy, the second more difficult. Songs include: Were You There? * Steal Away * Amazing Grace * Every Time I Feel the Spirit * Wade in the Water * and more. This fresh, non-denominational collection or twelve new and original songs written by Grammy and Dove Award - nominated songwriter Thornton Cline. The hymns are written in the contemporary and traditional styles of all occasions; praise and worship, Offertory, Thanksgiving, Christmas, Lent, Easter, weddings and anniversaries, all inspired by the word of God. 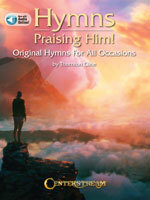 Recommended for music ministers, church choirs, schools and personal use. The book also includes audio tracks featuring recordings of each song, available online for download or streaming. Shamrocks, shillelaghs and shenanigans�they are all here in this collection of 55 fabulous Irish favorites! 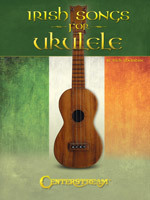 Each song is specifically arranged for the ukulele, with the melody in both standard notation and easy-to-read tab. Includes: An Irish Lullaby � The Band Played On � Cockles and Mussels � Danny Boy � The Irish Rover � McNamara�s Band � Peg O� My Heart � The Rose of Tralee � and dozens more. 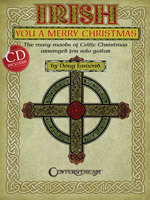 This book has Christmas melodies and tunes from Scotland paired with seasonal titles. All the songs can be played solo or with other instruments. 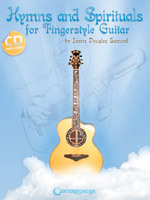 A CD is included with recordings of the author playing both steel and nylon string guitars. 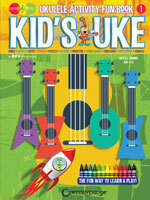 Get your kids involved and excited about music with this fun Learn & Play Kid's Activity Book. It's the perfect introduction to the ukulele - you'll learn about the ukulele and how to play it through a series of fun activities including songs, coloring, note reading, puzzles, crosswords, a word search, chords and more.